The Ameritron ATP-100 AmplifierSaver lets you safely tune up your linear amplifier perfectly for full power output and best linearity. It protects your expensive amplifier from overheating, tube damage, power supply stress and arc-over during tune-up. It prevents premature failure and costly component replacements. 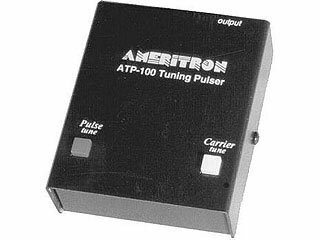 Ameritron's innovative pulse tuning technology lets you tune your amplifier at full peak output power for best linearity. It keeps average power to a low safe level to prevent overheating and power supply stress. "Why can't I just tune up at low power to reduce overheating and component stress?" you ask yourself. Well you can... but if you don't re-tune at high power (which causes overheating) you can create severe splatter and abuse your tube grids because of excessive grid current.